Often homeowners think of insulation as a Fall/Winter project and a great way to save money on home heating costs. What a lot of homeowners don’t know is that wall & attic insulation can save you just as much money during the summer months when your AC is keeping your family comfortable. If your home is already insulated and you’re looking for a few great ways to save even more on your home energy costs during the summer months, here are four great DIY tips that can save you money. You can insulate your home and keep a lock on the thermostat but if your ducts are leaking or your filters are clogged, you won’t get the energy savings you deserve this summer. Want to learn more about the money saving benefits of insulating your home? Check out our post on home insulation. Or our post on available rebates here! An air filter full of dirt will cause your cooling system to run longer in order to cool your home. 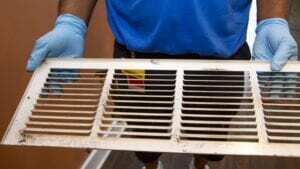 This can cause your air conditioning unit to freeze. The Department of Energy (DOE) has estimated that a dirty air filter is using 15% more energy than a brand new air filter. 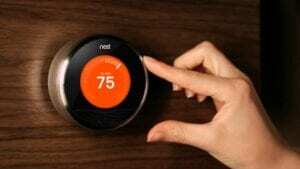 The DOE has also estimated that 50% of a household’s energy spending is on heating and cooling. 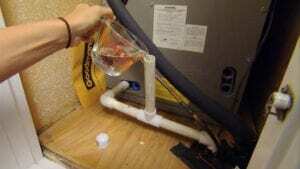 Want to calculate what a dirty filter costs you? Hint: it’s probably more than a new filter. 1. Take half of your average monthly energy bill, multiply it by 15% and multiply that by the number of months the system is running with a clogged air filter. If your average monthly spend is $200 on heating and cooling then that filter will cost you $180 this year. The little line that moves condensation drainage out of your air conditioning unit can cause a lot of problems for homeowners. You should regularly inspect your unit and check for drainage clogs. Open your A/C and pour at least a half gallon of water in the pan and watch as it drains to see that the line is not clogged. Today’s Homeowner has some really great DIY tutorials on this type of maintenance. 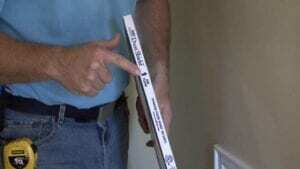 Is your A/C unit in an uninsulated attic? Something as small as a kink in the drainage line can cause the line to freeze and crack. The leaking water can damage not only your unit but your home. Consider adding attic insulation to your home along with your regular A/C maintenance. Modern Xterior has been providing homeowners with affordable home insulation for over 20 years. Insulating your home’s attic or walls is the fastest way to increase energy efficiency. Modern Xterior Improvement is an experienced Michigan home Insulation Contractor that specializes in insulation installation. We’re a lead-safe certified contractor with over 25 years of experience. Give us a call today and find out why MXI is different. Insulating your home’s attic or walls is the fastest way to increase energy efficiency. Modern Xterior Improvement is an experienced Michigan home Insulation Contractor that specializes in blown-in cellulose attic insulation installation, Tripolymer Injection Foam wall insulation installation, and spray foam insulation for open walls and attic access. We’re a lead-safe certified contractor with over 25 years of experience. Request a quote today and find out why MXI is different.